The only thing more fun than saying ZOODLES is eating them. Combine this light pasta alternative with our delicious Garlic Butter Shrimp Scampi and you’ve got an Insta-worthy dish from Nutmeg Nanny you’ll love sharing. Spiralize zucchini to your liking. Once spiralized set aside. 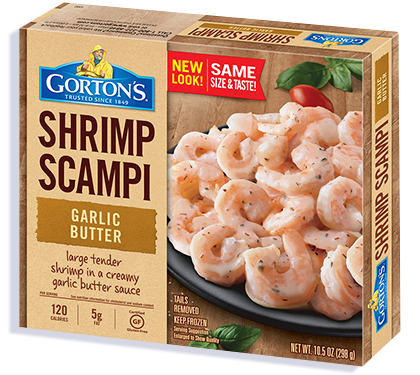 In a medium-sized skillet prepare the Gorton’s Garlic Butter Shrimp Scampi according to the box directions. Take your noodles and toss them with the pesto, sun-dried tomatoes, and Parmesan cheese. 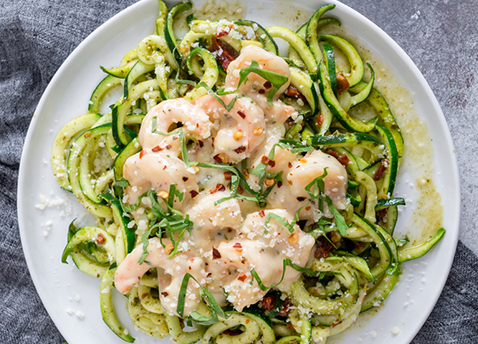 Separate the zucchini noodles onto 2 plates, top each pile of zoodles with an equal amount of shrimp and garnish with desired amounts of fresh basil and crushed red pepper flakes. If desired, quickly warm noodles in a skillet with a little olive oil and then toss in pesto. However, warming will soften the zoodles faster.